Richmond, Texas Criminal Lawyers James Sullivan & Associates strive to be compassionate, sympathetic and tolerant with everyone. While it is true that the attorneys have managed to get hundreds of felony and misdemeanor cases dismissed for their many clients, they strive to encourage their clients to foster a friendly spirit with others in their world. If they do so, they are far less likely to find themselves in trouble for criminal offenses, such as Drugs, Assault, Theft, Shoplifting, Robbery, DWI, Manslaughter, Homicide, Murder, etc. Arrested? Call Richmond Criminal Lawyer James Sullivan at (281) 546-6428 to discuss your case. 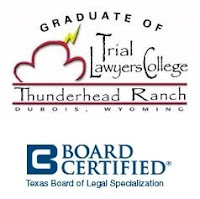 Richmond Criminal Attorney James Sullivan is also Board Certified in Juvenile Law by the Texas Board of Legal Specialization. Juvenile Law is different than criminal law. If you want a dedicated Fort Bend County Criminal Defense Lawyer to represent you on a misdemeanor or felony charge in Fort Bend or surrounding counties, contact James Sullivan & Associates for a free confidential consultation at (281) 546-6428.